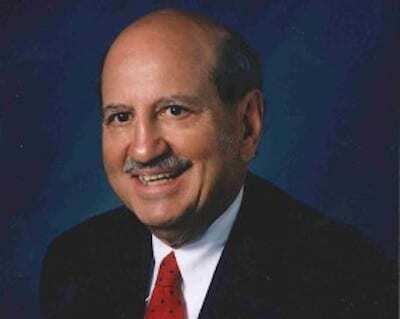 Ralph Strangis, chairman of the Minnesota Racing Commission and principal partner in the law firm Kaplan, Strangis & Kaplan, passed away on August 15, 2018, at age 82. Mr. Strangis was appointed by Minnesota Gov. Mark Dayton as chair of the commission in 2013. He had served on the commission previously in the early days of Minnesota racing and returned to serve as chair more recently. He led renewed efforts to work with industry members to promote the interests of racing, protect the safety and welfare of its human and equine participants, and strengthen judicious regulation. Those who knew and worked with Mr. Strangis were well aware of his commitment to the racing industry in all its dimensions, from development of and improvements to track properties (which he strongly supported) to those who toiled on the backside and were in need of support services. Even though he was unable to attend the recent fund raiser for the Permanently Disabled Jockeys Fund, he made a significant contribution as a sponsor of the event. Years ago, Mr. Strangis was the founder of the race track backside program, Quality of Life, and his support for those who suffered from substance abuse was continuing. These are just some of the many ways in which Mr. Strangis supported the industry and the people in it. His reputation in the racing industry was the same as it was in the Minnesota legal and business community — a man of sharp intellect who got things done, treated everyone with respect and empathy, and could go from serious to playful and humorous as the occasion demanded. By his example, he demonstrated that personal commitment, being willing to listen, and being fair-minded are essential qualities in the best public servants. Mr. Strangis showed great courage to the end and passed away peacefully with his wife Grace at his side. The wake will be held on Tuesday, Aug. 21, at Our Lady of Lourdes Catholic Church in Minneapolis from 4-8 p.m. CT. Mass of Christian Burial will be held on Wednesday, Aug. 22, at 10 a.m. at Holy Cross Catholic Church in Minneapolis. Burial to follow at St. Mary's Cemetery. This entry was posted in People and tagged canterbury park, mark dayton, Minnesota racing commission, permanently disabled jockeys fund, quality of life, Ralph Strangis by Edited Press Release. Bookmark the permalink.